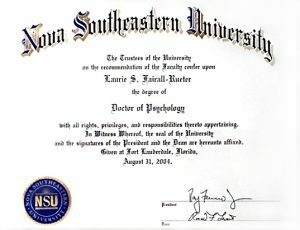 Dr. Laurie Fairall completed her Doctoral degree in Clinical Psychology at Nova Southeastern University and is currently licensed in Florida, Georgia, and Texas. 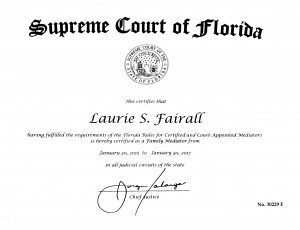 She has recently added Florida Supreme Court Certified Family Mediator to the list of services she can offer to you and your family. 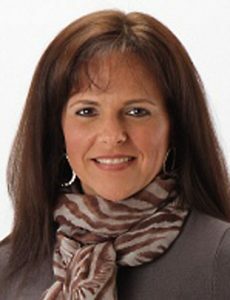 Dr. Fairall relocated from South Florida in 2005, leaving a large and diverse group practice consisting of Board Certified psychiatrists, fellow psychologists, and several therapists. Her eight years spent in South Florida afforded her a dynamic and exciting opportunity to develop her multicultural awareness. Her experiences in Community Mental Health facilities, private non-profit organizations, and professional private practice gave her a well-rounded vantage point. This has helped Dr. Fairall to develop a solid foundation for diagnosing and treating individuals with a broad spectrum of diagnoses – at varying stages of the lifespan – and from a diverse set of individual backgrounds. In addition to her private practice in Atlantic Beach, Dr. Fairall had the opportunity to serve as the Chief Clinical Officer for a Texas-based company, which offered a patented process for partnering primary care and behavioral health. 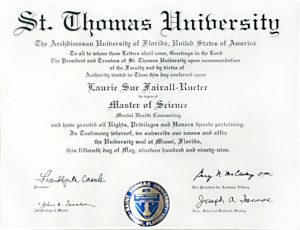 This exciting and innovative company offered Dr. Fairall the unique opportunity to better understand and contribute to the early detection and treatment of Dementia and Alzheimer’s disease, as well as many types of Mild Cognitive Impairments. The significance of early detection and early intervention are now recognized as most critical to impacting the course of illness, as well as the quality of life for the patients and their caregivers. In addition to the many types of dementia, any number of physical health conditions, psychiatric illnesses, or environmental qualities can contribute to less-than-optimal cognitive functioning: the ability to remember things, make decisions, pay attention or even recognize social cues. Cognitive functioning is rarely evaluated on a consistent and objective basis. Dr. Fairall believes that cognitive functioning should be considered a vital sign, a window into the patient’s overall health and quality of life, an illustration of the synergy between one’s physical and mental health. There is no linear relationship between physical condition and cognitive function; rather there is an inter-related, synergistic, complex dynamic happening between the two. If one is not in optimal health, the other is likely to decline as well. Conversely, if we can improve one, the other is likely to show improvement as well! It is her goal to determine all of the factors at work and help each and every patient, and their family, determine the right course of action for a long, healthy productive life. Contact Dr. Fairall & Associates to learn more about how a neurocognitive assessment can help you or your loved one. In 2013, Dr. Fairall joined LightHorse Healthcare, Inc. – a non-profit behavioral health center that offered holistic mental health services as part of an integrative model of care – in St. Mary’s, Georgia. Together they endeavored to bring psychological and neuropsychological testing to a community that was previously sparse for such services. With Dr. Fairall as the Director of Psychological Services, LightHorse was able to offer valuable testing and assessments to children with all ranges of academic abilities, behavioral disorders, and emotional needs, as well as those with an Autism Spectrum Disorder diagnosis. Oftentimes adults who have spent years in therapy, trying different medications, and searching for answers came to LightHorse in the hopes of finally finding their path to wellness. From an integrative approach, we were able to offer them a full psychiatric and psychological evaluation, followed by an array of services not often found in most behavioral health clinics, such as Art Therapy, Animal Assisted Therapy, and group therapy. Dr. Fairall continues to collaborate with what is now Lighthorse Psychiatry.